Franchisors looking for growth through international expansion are faced with having to choose where to put their resources - financial, human and time. Opportunities must be prioritized, and there is often a tradeoff between where the franchisor sees the greatest opportunity, and where a potential franchise steps forward and asks to bring the concept to their market. It can be tempting to put off entering what is perceived as a difficult market for one that is, in the short-term, easy money. While the United States offers a tremendous opportunity, at first glance entering the market can seem a daunting task on two fronts. One is the size and complexity of the market itself, and the second is the perceived difficulty of complying with Federal and State legal requirements and the reputation of Americans as a litigious group of people. Both can be overcome. As Americans, we often take for granted our good fortune in having a robust (even in difficult economic times) consumer-driven economy. With a population that is educated and highly literate, we are a country that offers a consumer market with a high level of disposable income. Further (and important to those wishing to introduce a new concept), we have demonstrated an abundant desire to try and accept new branded products and services. We constantly look for providers that can exceed our expectations, making new market entrance a possibility. Our population is largely concentrated (81.4%) in urban areas and is diverse ethnically and religiously. The dynamics of franchising have provided an ever-increasing benefit to consumers worldwide, and the U.S. is still the economic jewel (maybe a bit discolored of late) that makes it an attractive place to expand. For foreign franchisors, the attractiveness of an existing robust franchisee base, with an ever-increasing acceptance of multi-unit ownership, enables a more rapid achievement of brand recognition, critical mass, and lower unit support costs. Capital for franchisee expansion is relatively easier to obtain in the United States than elsewhere, and financial institutions are experienced in lending to franchisees. Also, the loan guarantee programs provided through the SBA (U.S. Small Business Administration) make the process of gaining capital by potential franchisees relatively simple, compared to opportunities in many other countries. Recently I spoke to an audience of experienced foreign franchisors, discussing their plans to expand into the United States and their perception of the difficulties before them. Each of them had existing franchised locations in countries outside of their home base. For the most part, these franchisors are relatively comfortable in general with franchise regulation in other countries, as disclosure laws are becoming more common around the world. The information and methods of expansion they use in developing their home and other country markets are generally easily adapted to the next country they chose to enter. That is, of course, not necessarily true when entering the United States. The most often cited concern about coming to the United States was fear. While the U.S. holds great promise for their brand, they recognize that we are not a homogeneous nation, and our diversity and sheer size is intimidating. There is a perception expressed by many that our maturity in many consumer and business categories can create obstacles they may not have needed to address elsewhere. A few cited our perceived penchant for solving minor issues with litigation, and a handful who were more knowledgeable about current affairs were concerned by the recent focus of labor unions on franchising and spoke to the actions of the NLRB, CFA, and others in advancing a host of new issues including increased labor costs and practices, limitations being imposed on locations available to chains operating in some areas, joint employment, and proposed relationship laws. However, their greatest concern, surprisingly, is still their perception that the regulatory scheme in the United States with our pre-sale disclosure, registration in some states, and differing laws are complex, and that the cost of compliance in time and dollars is prohibitively high. It is difficult on the surface to argue that for a country that professes a belief in a free market economy, we present a picture to the rest of the world that franchisors in the United States need to jump through governmental hoops and requirements, and where often those challenges are not uniform from state to state. However, it is precise because we have a free market economy, supported by a relatively well-defined regulatory scheme coupled with sophisticated and knowledgeable consulting and legal advisors, that makes franchising in the United States such an enviable success story. Without a doubt, the costs may be higher for entry into the United States, but from experience, those additional costs are not prohibitive especially when measured against the opportunity. Franchise regulations in the United States are based on the premise that the franchisor, within some relatively clear limitations, can choose their methods for expansion and can independently define the terms of its franchise offering. Franchise regulation has been a boon to its acceptance in the United States, because it has been rooted in the pre-sale disclose to potential franchisees presented in a structured format, and has eliminated to a great degree the fraudulent practices that occurred prior to the regulatory scheme being adopted. 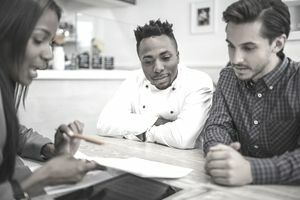 Potential franchisees receive the terms of the franchisor’s offering well in advance of their making their franchise investment, and are given the time to conduct a proper due diligence on the franchisor’s opportunity. The United States is a proven consumer-driven marketplace that seeks out and absorbs new products, services, and ideas. It is precise because we have such a well defined and structured regulatory scheme (certainly not a perfect one) that makes the United States one of the easiest markets to enter into for foreign-based franchisors. The perception of regulatory complexity really is a myth - it just may be different from what the foreign franchisor has experienced elsewhere. While our system may come with some additional costs and delays, when compared to the potential of the market, the additional costs are relatively minor. Excessive franchisee litigation was the second most cited concern about conducting business in the United States. While franchisee/franchisor litigation is not uncommon, overall litigation in the United States is only slightly higher than that found in the U.K. Less than 30% of franchisors have any litigation to disclose in their disclosure documents, and most of that is found in the larger franchise systems. Coupled with the pre-sale regulatory scheme and the advance of better management practices in working with franchisees, the rate of litigation in U.S. franchise systems is remarkably low considering the size of the franchise marketplace. Still, as with anything new, it is a mistake to assume that, as a foreign franchisor, you can simply modify your existing legal agreements to meet the legal requirements of the United States and succeed. Regardless of where your franchise is operating and into which countries you plan to expand into, you still need to plan your market entry. It requires some inward assessment of your strengths and capabilities, an understanding of whether your products and services will meet with consumer demand, and whether you will be able to effectively support your franchise organization to achieve your financial and other objectives. Project the financial performance of your franchise system and conduct an internal review of your current capabilities in key areas to determine if you are ready to expand into the U.S. Develop an initial U.S. location or two (direct or indirect), or determine if you can effectively enter the market with no U.S. prototype open and operating and then monitor and evaluate your initial unit(s) performance. Determine how much of your existing operational support and capabilities can be leveraged for the United States. Do you need an office in the U.S. - if not immediately, then when? Modify your operations manuals and training programs. Determine your human resource requirements, and begin the process of engaging the necessary franchisor staff. Determine your franchisee sales strategy and tactics - internal sales, brokers, etc. Identify and prioritize your tactical execution. One great advantage for those wanting to franchise in the U.S. is that strong consumer acceptance of consumer brands has given rise to over 3,000 different franchised concepts, and that number of franchised concepts has fueled a well-established group of experienced professionals from attorneys to consultants, accountants to IT providers, and advertising and public relations firms, who can provide the assistance a franchisor needs in establishing, promoting and managing a viable franchise network. Entering the U.S. market may not be the right move for every company, but the reason for not coming to the U.S. should be based on solid business reasons - there is no reason to stay away because of fear.